Hey y’all happy Monday! So, my middle child is 9 years old and in the 4th grade. As a 4th grader, new opportunities are available at her school which include joining chorus and band/orchestra. Needless to say, she wants to do it all! Anyway, the school chorus has an upcoming concert in December therefore, she is always singing the songs and practicing at home. It goes without saying that a few of the songs are Christmas based and I know this duo will be perfect for me to wear while in attendance. I can’t believe we are only 54 days from Christmas! I’m so not prepared, mentally, physically, emotionally, nothing! But her holiday cheer and song singing along with this duo is helping me get there. 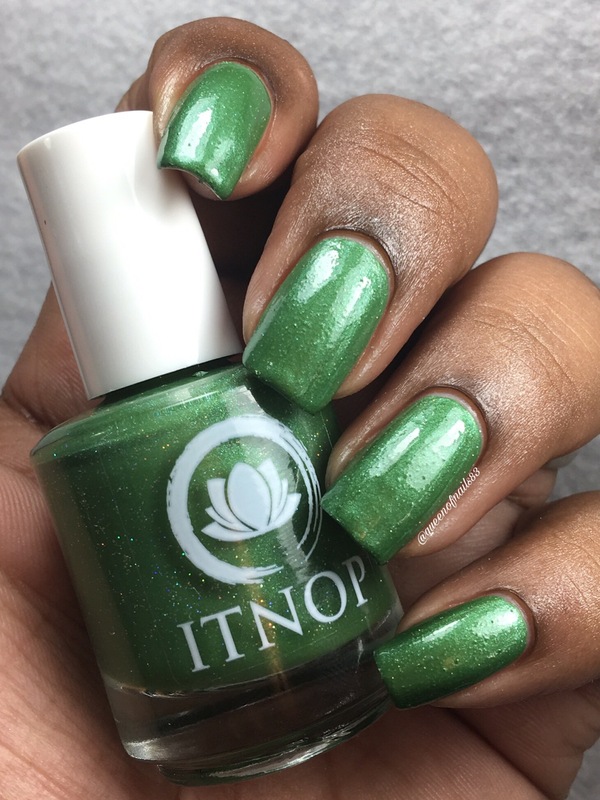 The Christmas Duo Limited Edition by In The Name of Polish is both fun and exciting, but don’t take my word for it, see for yourself…. In the quest to make Hella Holly a one coater, the formula is slightly thick and was a little difficult to apply, but nothing a few drops of polish thinner didn’t rectify. I also felt that it dried a little textured but nothing a second layer of TC wouldn’t fix. I did bring this up to Kristin before this post and she is back in the lab to reformulate. 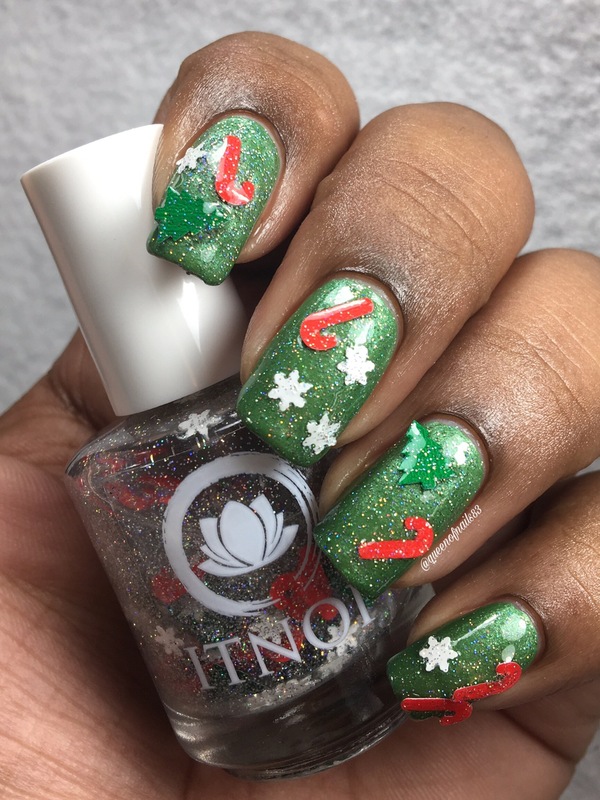 As for Snowglobe, I did have to fish out the trees, snowflakes and candy canes onto my nail mat because they do settle to the bottom and I applied them with an orange stick. Because of my c-curve, they didn’t lay flat on my nail as you can see in the swatches. 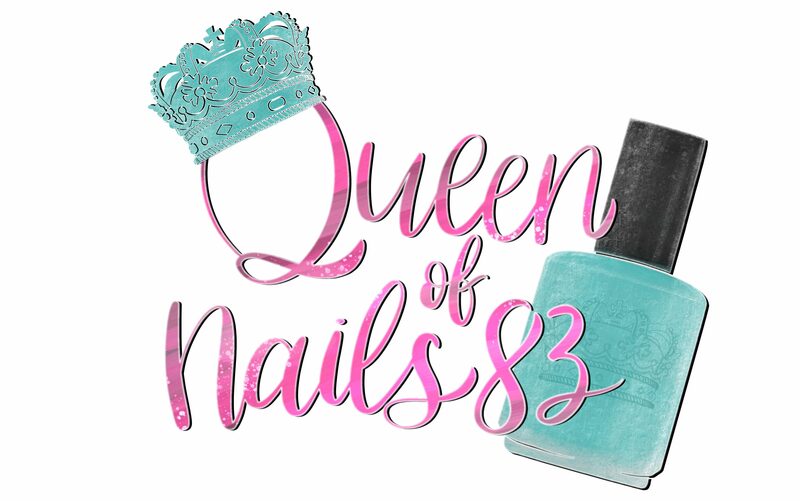 Overall, I think the topper is great and I will be using it again but not for an extended mani because it would drive me crazy if the add-ins kept getting caught on things like clothing, etc. I like Hella Holly a lot once I added the thinner and wish I had some matte tc because I think that would have allowed that shimmer to pop out more. 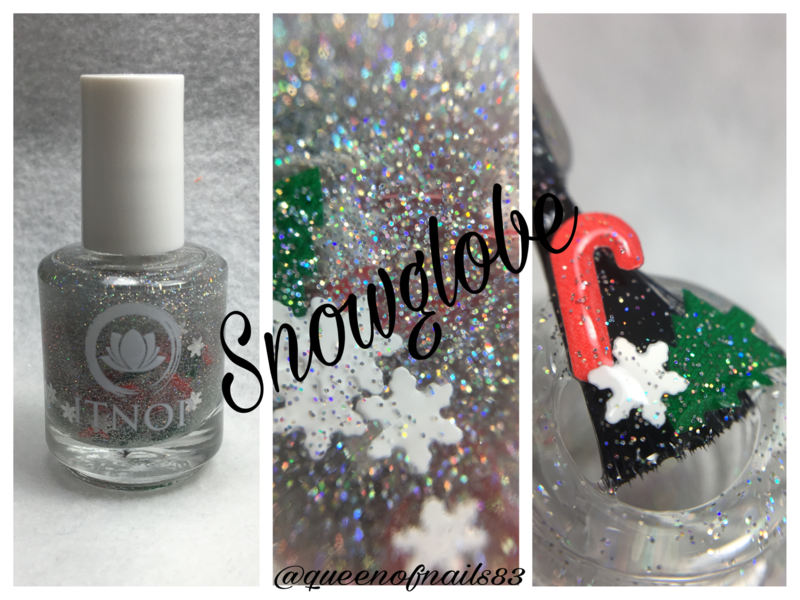 This duo is currently available for $16 and will come with an orange stick to help grab the heavier tree glitter in Snowglobe. If you would like this Duo sent as a gift in gift packaging please leave a message in the notes section of your order with the name and address of the recipient! They would make a great stocking stuffer for someone on your list or your #swapgirl! This Duo is Limited Edition and will not be restocked once sold out! This is a fun duo for Christmas! They’re great for Christmas but a little too much work to apply when so many out there are so easy. I am so not ready for Xmas! The glitters look like they are huge, too huge for my tiny nails! 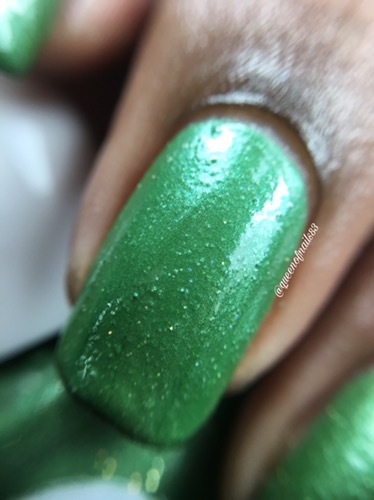 Hella Holly is a really pretty color and I love the pops of the holo glitter!